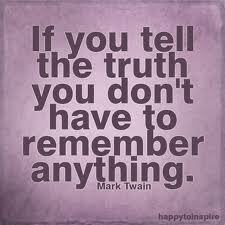 “If you tell the truth, you don’t have to remember anything.” – Mark Twain. Writers such as Scott Berkun, Tom Kelley and Steven Johnson all reinforce the importance of partnerships and collaboration to successful innovation. I refer to their work in Myths of Innovation and The Partnership Paradox. The central element to effective business-to-business relationships is that the are managed by people with strong soft skills – an ability to show empathy, understand the other and listen. Of course you cannot avoid the need for a good plan and product. But it’s the superior soft skills that determine relationship success. So how important is honesty in this? And how honest are we? ‘People Lie All The Time’ – Dan Ariely. True? 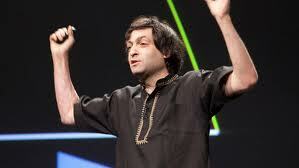 Dan Ariely explored honesty in a recent lecture at The RSA. A frequent contributor to Harvard Business Review, Ariely is professor of psychology and behavioural economics at Duke University and the founder of The Center for Advanced Hindsight . He has extensively researched how honesty & lying affects our behaviour and studied how people actually behave in the consumer marketplace – as opposed to how they should or would perform if they were completely rational. He revealed that lying is universally common from the US to China, from Europe to the Middle East. Journalists, politicians and bankers are all good liars – with those that look after our cash slightly more likely to be more dishonest. But they are not alone. 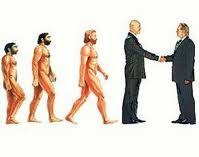 In a 10 minute conversation the average person will be ‘diplomatic with the truth’ – about three times. However, its a question of degrees. Not all these lies are horrendous Machiavellian porkies designed to achieve fraudulent advantage. The best story tellers stretch the truth and creative people are more likely to exaggerate. 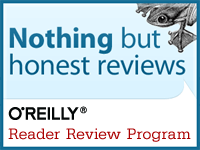 Crucially Ariely points out that lying is ‘domain specific’. We may feel it is OK to lie about certain things to retain friendship and refrain from speaking the brutal truth. As social actors we rationalize the truth based on our calculation of positive and negative outcomes; what is the risk? In high risk – high value business relationships honest, open and communicative conversation is good for business but its worth recognising that dishonesty may be part of our own behaviour – and that of others. However, it’s a matter of context. Stretching the truth about a late night out with the team may make for good comical effect and be socially acceptable at the right time. Whereas misleading a partner on key project delivery schedules is capable of permanently damaging a valuable and hard-won relationship and regaining the trust that is lost, may be difficult to do. Our ability to maintain important business relationships is not simple. We are complex – and whilst we are inclined to cooperate we are also as likely to stretch the truth at times too. Understanding that consistently telling the truth can often be a weakness in ourselves and others – may just be the one essential truth that is hard to hide. For further information on innovation, The CollaborativeEdge, MarketingCafes or partnership and relationship management consulting please contact Andrew Armour or visit Benchstone. Thanks to The RSA for another great event. Interesting post Andrew. I’ve had a couple of incidents in the last few days where my honesty was challenged. The first was when someone had given me an article they had written. I read it and I did not like it. My friend looked at me expectantly. It was clear he was very pleased with this piece and I felt that he was waiting for some affirmation. If I told him what I thought I then I would risk offending him, without a shadow of a doubt. If I did not tell him then I was being deceitful in allowing a perception that I thought the piece was barely ok, let alone good. There was another deceit that would have been committed as well; the deceit that he and I were grown adults, capable of being frank and honest with one another. I gave the feedback, honestly. It was uncomfortable for us both and I am glad I did it. We’re still fine. I think the next piece he offers me to read will be better and I hope that my feedback will have caused him to reflect. I also get the sense that having had the conversation, the conversation has been had. No grudges here, or at least, none that I have yet spotted. The second instance was in a workshop I was delivering on conflict styles and conflict led patterns of behaviour. It was to a group of 60 adults and was also attended by, essentially, their boss. The format of the day was to look at instances of conflicted interactions and use that as our material to base our learning upon, and build new approaches to managing conflict. Frankly it did not go well. I was struggling to manage interruptions from the boss who, laudably, defended the actions of her staff everytime I wanted to get down to challenging the status quo behaviours and conflict responses. Essentially, I was trying to show alternative approaches and it felt as though the conventional approaches were being condoned and justified everytime I did so. In my view there was only one thing to do; call out the behaviour. In this situation I am afraid that I did cause offence; or at least, that offence was taken. Sometimes I think the real skill may well be in finding ways to be truthful and balance that with the politics and power structures present within the collaboration or organisation. 6 Protect and engage voices of dissent. When we have all of this then, perhaps, we have teams, alliances and partnerships that are able to be courageously honest. Thanks once again for the thought provoking post.